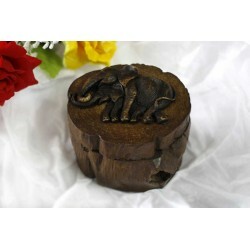 Adorned with elephants resin figurines, these one-of-a-kind teak boxes will help you keep coins, jewelry and small trinkets safe. Elephants are a proud symbol of Thailand's cultural legacy. We invite you to explore our offerings featured below. 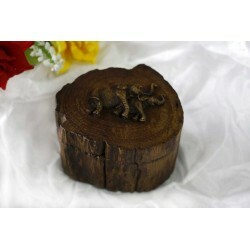 Teak Log Box There are 19 products. 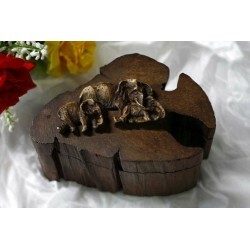 This delightful box is handcrafted from natural teakwood. 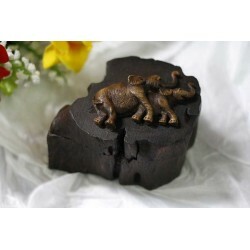 On the lid the figurines, elephants playing together, are made with resin. Swing the lid round to open the box and store keepsakes and personal treasures. The natural shape of the wood branch determines the actual dimensions and shape, making each piece unique. 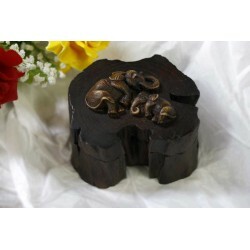 This delightful box is handcrafted from natural teakwood. 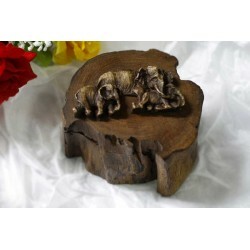 On the lid the figurines, an elephant family playing together, are made with resin. Swing the lid round to open the box and store keepsakes and personal treasures. The natural shape of the wood branch determines the actual dimensions and shape, making each piece unique. 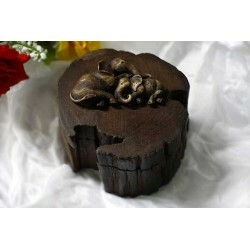 This delightful box is handcrafted from natural teakwood. 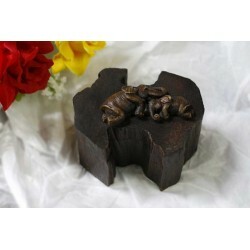 On the lid the figurines, cuddling elephants, are made with resin. Swing the lid round to open the box and store keepsakes and personal treasures. The natural shape of the wood branch determines the actual dimensions and shape, making each piece unique. 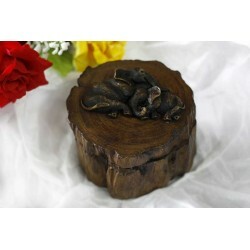 This delightful box is handcrafted from natural teakwood. On the lid the figurines, a marching elephant family, are made with resin. 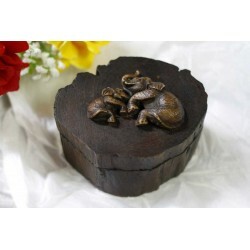 Swing the lid round to open the box and store keepsakes and personal treasures. 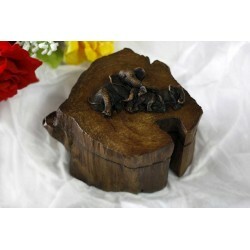 The natural shape of the wood branch determines the actual dimensions and shape, making each piece unique.